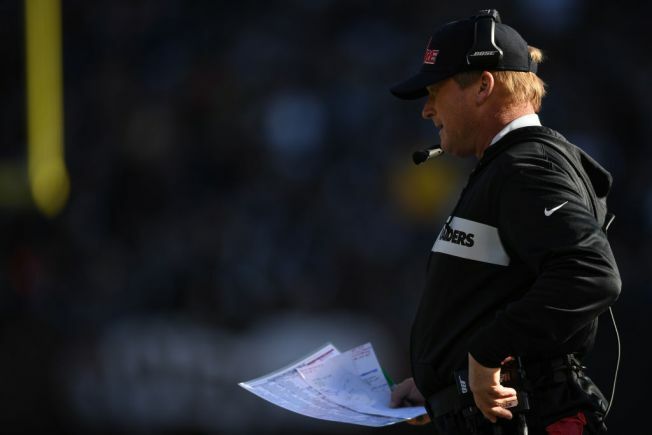 Going into this year’s NFL draft on April 25, the Raiders are in great position to make some high-impact selections, having three first-round choices (Nos. 4, 24 and 27) and another early in the second round (No. 35 overall). But Raiders general manager Mike Mayock also is excited about opportunities later in the draft and is hopeful of collecting even more selections over Day 2 and Day 3 of the procedure. Mayock told reporters this week that he loves the type of players available from picks “20 through 60” and would be open to making deals to move into that slot. He and head coach Jon Gruden -- who will work together to conduct the draft -- are eager to upgrade spots all over the roster. For now, the Raiders don’t have a third-round selection, but have one in Round 4 (No. 106 overall), one in Round 5 (No. 140) and two in Round 7 (Nos. 218 and 235). Yet even if the Raiders can’t acquire more selections through draft-day deals, Mayock says he knows Oakland is in great position to get much better in this year’s draft. What's important is making the right choices in those slots.